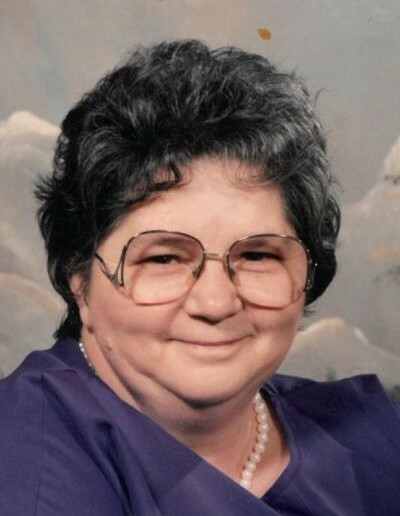 Katherine Ann Hughes, age 73, of Lynn Drive, Spruce Pine, NC went home to be with the Lord, March 23, 2019. She was a native of Mitchell County, NC. She was a member of First Freewill Baptist Church Spruce Pine, NC since it was founded. Katherine loved going to church and hearing the word of God. She loved her family and her church family. She also enjoyed; needlework, cooking, canning, quilting, and her flowers. She was retired from Hampshire Hosiery, and later Wal-Mart in Spruce Pine, NC. Survivors include; her mother; Hortense Burleson Biddix, of Spruce Pine, NC, her husband of 52 years, Billy Hughes, of the home, two children; Robert Hughes (Jerri), of Spruce Pine, NC, and Ginger Garland, of Spruce Pine, NC, brothers; Timothy Biddix (Carolyn), of Marion, NC, and Phillip Biddix (Jane), of Marion, NC, sisters; Eyvette Burleson (Gary), of Spruce Pine, NC, Nancy Jones (Bob), of Spruce Pine, NC, Grace Spry, and son Thomas, of Marion, NC, and Laura Franklin (Dean), of Spruce Pine, NC, grandchildren; Kacey Willis and fiancé Travis Huskins, William Hughes, Cainan Singleton, Carson Singleton, and Cole Singleton, great grandchild; Jaylon Sullins Hughes. She was preceded in death by: her father; Willard Biddix Jr., brothers; Manuel Biddix, Samuel Ray Biddix, and George Hickey Biddix, grandson; Mason Hughes, great grandchild; Delilah Huskins, and son in law; Michael Singleton. Funeral services will be held Tuesday, March 26, 2019 at 2:00PM in First Freewill Baptist Church Spruce Pine, with Pastor Ralph Hedrick officiating. The family will receive friends one hour prior to the service. Interment will follow the service at the church cemetery. Henline - Hughes Funeral Home is assisting the Hughes family.